NASHVILLE – June 19, 2013 – Show Dog Universal Music recording artist Joel Crouse will debut his first music video, “If You Want Some,” on RollingStone.com tomorrow, Thursday, June 20. The video, directed by Chris Hicky, features Crouse and his band setting up to perform and party with friends outside a convenience market after their tour van breaks down. Check out the worldwide video premiere teaser here. Pick up a copy of Crouse’s new single “If You Want Some” on iTunes here. Crouse, who recently made his Grand Ole Opry debut, will continue performing with Taylor Swift on her “Red Tour” through the end of July. Each week, Crouse hosts #DressingRoomSessions on his website, where he posts a new video offering fans a glimpse of his pre-show warm-up on the tour. To view the #DressingRoomSessions or for tour information, visit www.JoelCrouse.com. 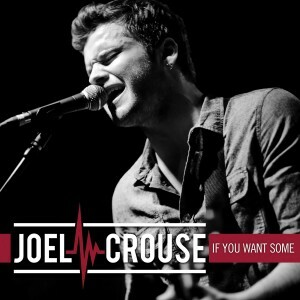 Follow Crouse on Facebook at facebook.com/joelcrousemusic, on Twitter@JoelCrouse, and on Instagram at joelcrousemusic.